Jakarta: A baby trapped under rubble after flash flooding destroyed his home in Indonesia has been reunited with his father after the disaster killed the rest of their family, officials said Monday, as the death toll hit 77. 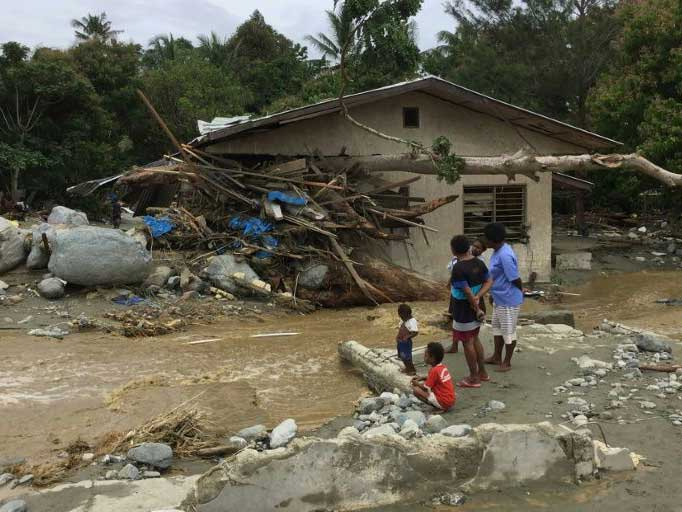 The five-month old was plucked Sunday from debris inside a house where his mother and siblings were found dead in the hard-hit northeastern town of Sentani. "We took the baby to the hospital and had him treated," Papua military spokesman Muhammad Aidi told AFP. 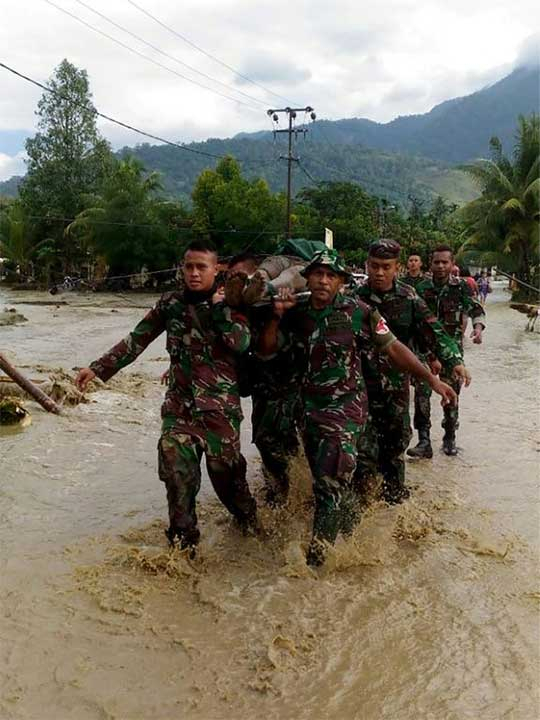 The news came as Indonesia's disaster agency raised the official death toll from 58, with more than three dozen people still missing. More than three dozen people remain missing, while scores have been injured in the disaster, triggered by torrential rain and landslides. 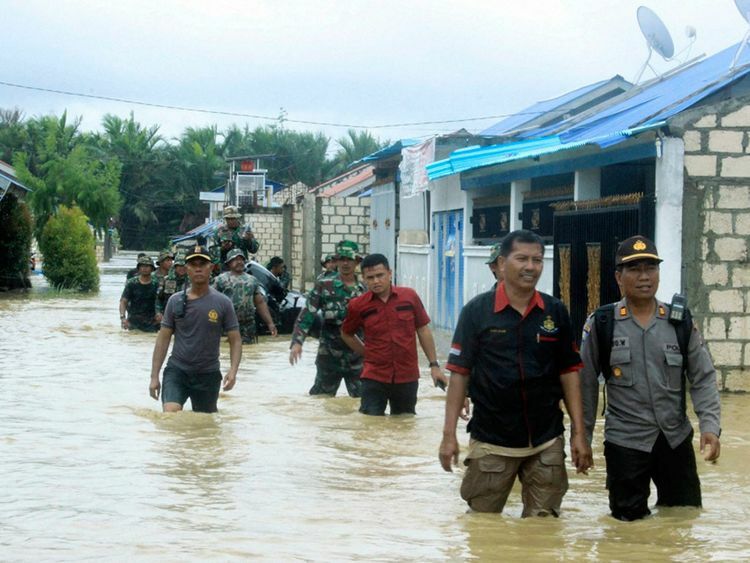 "The death toll could still go up with 43 people unaccounted for," said national disaster agency spokesman Sutopo Purwo Nugroho. "We took him to the hospital and had him treated," Papua military spokesman Muhammad Aidi told AFP.